Opatija is a popular summer and winter resort. 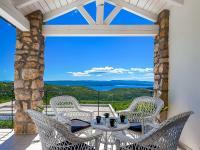 The pearl of Kvarner continues to fascinate for its location, the sea, the beauties and the climate, charm that strongly influences the prices of houses and apartments, in general of properties for sale in Croatia. Prices for property for sale in Croatia are very high but after years of silence and too little business, the investment on the brick in the Liburnian capital city is again touching interesting peaks, which are multiplying agencies, realtors and trades. property in Croatia is much slimmer in recent years, since when Zagreb ,it was July 2013, is part of the united Europe. In 2017, the Opatija real estate market grew by about 20 % on an annual basis, which was also affected by the drop from 5 to 4 % of property sales tax. In Croatia the most expensive brick investment cities are Dubrovnik and Opatija rich of properties for sale. In the Dalmatian city of Dubrovnik the average outlay for a house was 3,609 Euros last month. Compared to the previous month, the decline is 3.9%. Ragusa is in solitary command in this special ranking, with silver medal awarded to the Pearl of the Kvarner with 2,957 Euros (-0.1% on a monthly basis). The third place went to Split with 2.515 Euros and an increase of 3.5% in October. To invest in Croatia, certainly the capital Zagreb is a city that offers a large number of properties for sale at prices not moderate but that can be considered interesting considering the history and location of this city. Rijeka, an important port city, offers different types of properties for sale and a fairly high quality level of living. For foreign investors interested in buying luxury properties for sale the best-assorted city is Split, while Pola famous as a seaside resort is ideal for those who want to invest in second home ensure an income thanks to the highly developed tourism in the area. 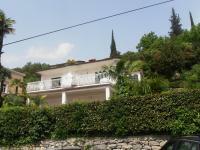 For sale House, Croatia, Primorsko-goranska, Opatija, . For sale House, Croatia, Primorsko-goranska, Dramalj, . 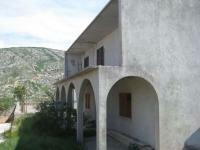 For sale 4 Bedrooms, Croatia, Primorsko-goranska, Stara Baska, . For sale Villa, Croatia, Primorsko-goranska, Crikvenica, . 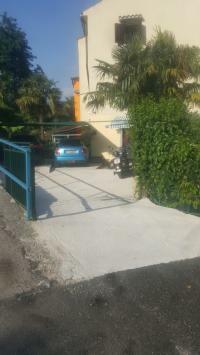 For sale House, Croatia, Ličko-senjska županija, Senj, .